The DFCO is co-leader of this Ligue 1 with Paris Saint-Germain after the first three days of the championship. The Burgundy club achieves a faultless and has just gleaned 9 out of 9 points in the game with 1 success against Nantes (2-0) at home and 2 exploits at Montpellier (2-1) and Nice (4-0) at the last day of Ligue 1. Gourcuff partners are running at full speed and could achieve the pass of 4 against Stade Malherbe Caen, training that ranks 16th !. 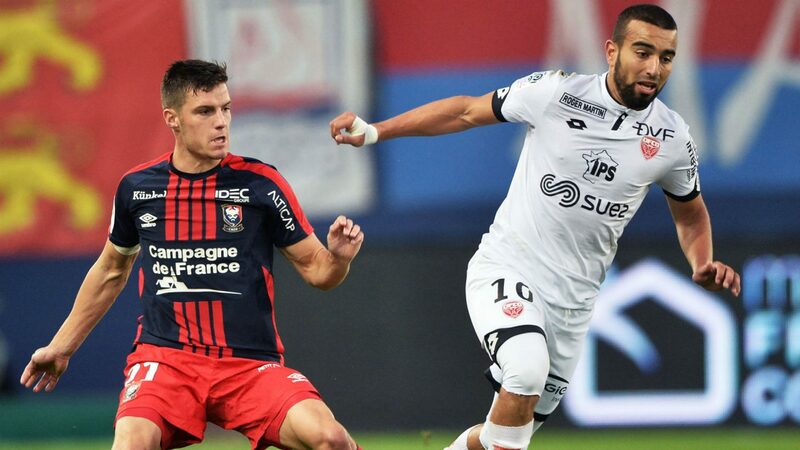 Indeed, the Norman club Mercadal still has not won any league match and remains on 2 draws against Nice (1-1) and Nantes (1-1) after a rout at the Parc des Princes against PSG (3-0) during the first day of the championship. Unable to win in Burgundy for 12 years, Caen will have much to do on this trip against a team with full confidence. Dijon is unbeaten against Caen at home since August 4, 2006! The DFCO has four wins and two draws against Stade Malherbe de Caen at the Gaston-Gérard stadium. The Burgundy club has won its last two receptions against the Norman team on the score of 2 goals to 0. The DFCO is flawless in L1: 3 wins after 3 days! Caen is still looking for his first win! Julio Tavares is the strongman of the DFCO at the beginning of the season with 3 achievements! The Burgundy club will have a psychological ascendancy on this meeting and has the opportunity to confirm its excellent start to the season against a Caen training already in the hard.